Just a quick blog entry to let you know that I'm on the road in Provence! I plan to spend three days here and then move south to spend two days along the Mediterranean at Cassis. 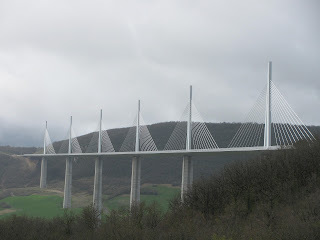 I drove across this magnificent bridge at Millau as I moved from the Lot to the Vaucluse. I'm so glad the builders thought ahead and designed this pull-out area for photographers. It's an awesome sight. The bridge reminds me of a spider web pulled gently across this huge ravine. 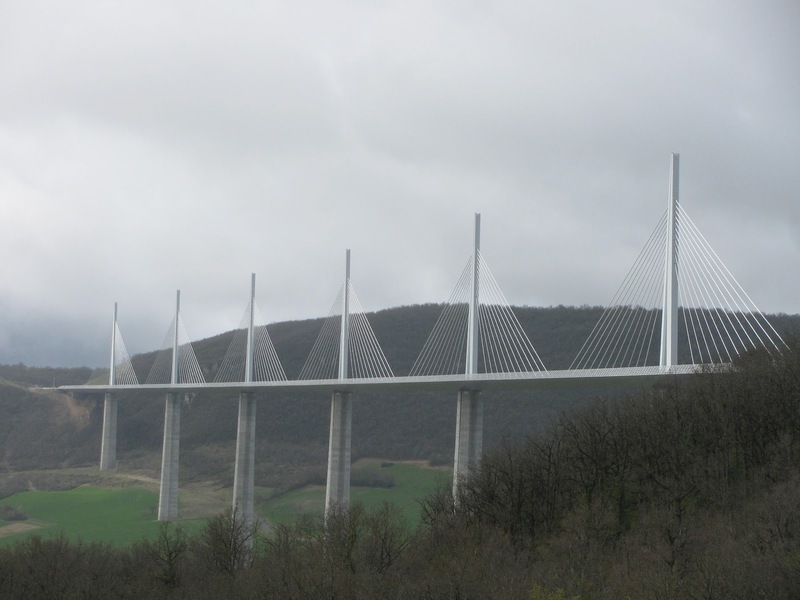 The bridge is 2.5 km long; the Tarn River runs far, far below it 890 feet away. The bridge is taller than the Eiffel Tower! Once I was on it, I could look out at the scenery, but barriers prevented me from looking straight down. Probably a good thing...it's kind of freaky to be that high up in the air. This valley can be plagued with awful weather, so the bridge had to be constructed to withstand hurricane-force winds. I don't think I'd want to be driving across it then! I'm off to explore Provence! Don't worry.... there will many more blog posts to come hopefully full of photos of this beautiful place!